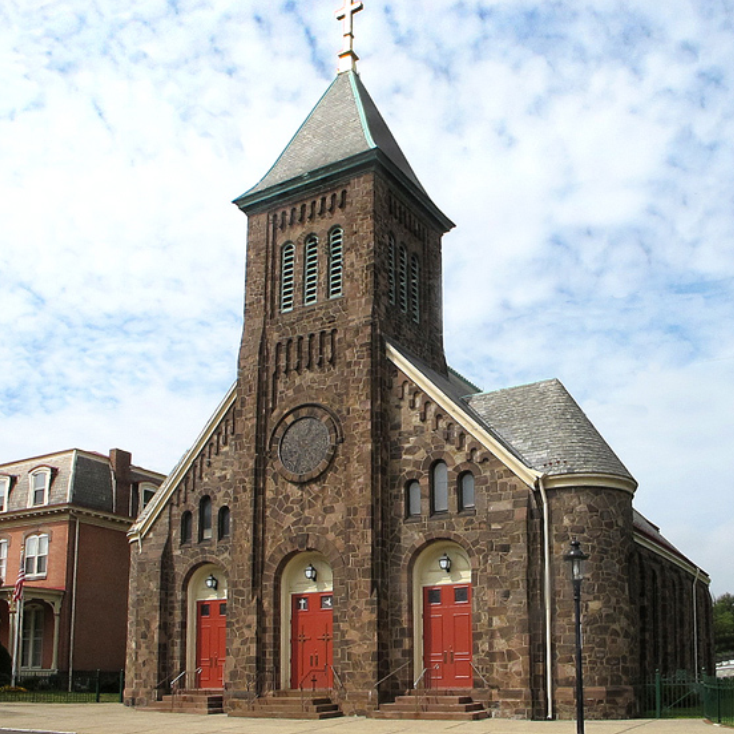 The parish of St. Mark was established in 1845 and is the first Catholic church in Lower Bucks County. The original building was constructed in 1846 following the immigration of many people to Bristol from Ireland. 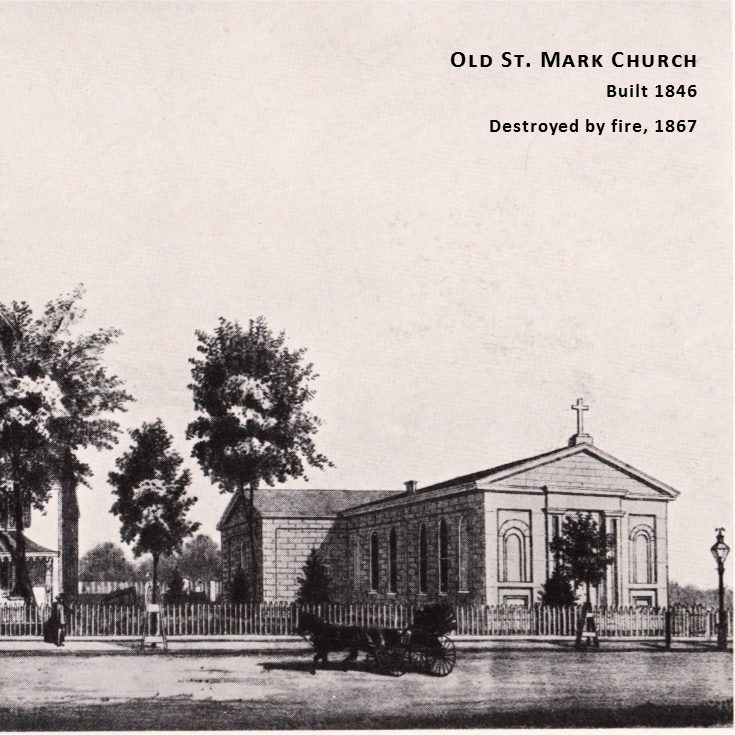 Fire destroyed the original church in 1867. It was rebuilt one year later. 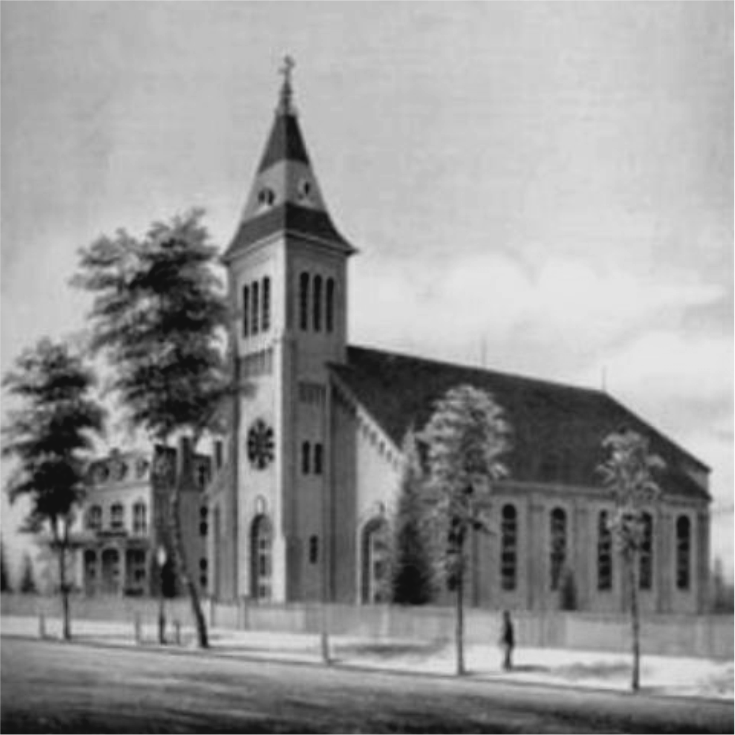 In 1882, the church suffered a second fire. Though not as catastrophic as the previous fire, the church was partly reconstructed and was extended another 20 feet. The present brownstone church features a central tower with a pyramidal roof, stained glass windows, marble altars, and a Rosetta window above the center door.